A year ago in Vienna, as the Organization of the Petroleum Exporting Countries met for its November meeting on whether or not to maintain, cut, or increase oil production for member countries, there was a new face on the sidelines. Alexander Novak, Russia’s Energy Minister. Leading up to the negotiations, and the final announcement of an OPEC cut, Novak had a busy couple months jet-setting to Qatar and China to meet with Saudi oil ministers to clinch the deal to cap oil production and cooperate with OPEC to stabilize the oil markets. Russia’s participation, in terms of sheer volume, gave the production freeze a larger market impact. Prices rose 10% after the decision was initially announced last November. It was the first time Russia joined OPEC members in a collective action since 2001. Tomorrow, on November 30, Russia is expected to join the 9-month extension of the current agreement. By capping production, OPEC and Russia have more or less achieved its goal of stabilizing oil prices, which have been hovering at a near $60 per barrel level, in both US and European markets. Last November, Russia and Saudi Arabia – OPEC’s biggest producer – were in a similar predicament Both governments faced massive budget deficits and oil revenue shortages due to historically low oil prices that earlier in 2016 had fluttered below $30 per barrel. Russia’s incentive in 2016 to agree to a production cut was motivated by increasing oil revenues in the short term, but more importantly, the idea was to boost oil prices before selling off shares in Rosneft, Russia’s largest and state-owned oil company. The Russian government, therefore, had a direct financial interest in boosting oil prices to fetch a higher valuation for Rosneft before putting it up for sale. This year, the Russian government has a much more concrete goal in mind: keep oil prices high through the elections in March of 2018. Rosneft no longer has an interest in prolonging the production cuts, because now that the sale is complete, the company wants to secure its market position – i.e. keep prices high enough to make a profit, but low enough to continue to box out US shale producers. In 2018, Saudi and Russian interests may not align. 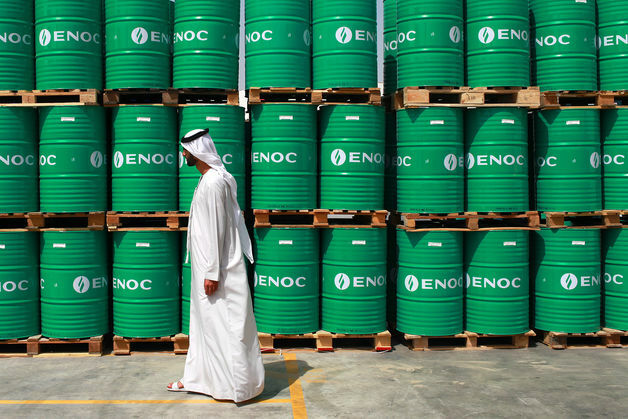 Saudi Arabia is gearing up to list its energy giant Saudi Aramco 2018, and wants to see oil prices continue to climb before the billion, if not trillion dollar, IPO. The higher the oil prices, the higher the company can list its initial shares. Russia doesn’t necessarily want to sabotage the IPO, but would certainly benefit from it fetching the lowest price possible. While OPEC is happy to leave the exit strategy vague, Russia is not. Russia’s oil companies such as Rosneft and Lukoil seem to be placated by prices above $60 a barrel and don’t necessarily support extending the deal any longer. Of course, Saudi and Russia are not the only voices at tomorrow’s meeting. The 14 member countries of OPEC all have various needs. Nigeria and Libya, which were exempt from the production cap cut last year due to low production and civil unrest, may be forced to comply this year. In Venezuela, the crisis has significantly cut oil production, and major debts at state-owned PDVSA risk further damaging output and refinery potential.